Police fleets in Hong Kong and the UK recently got electric motorcycles and Nissan Leafs (respectively) for their crime-fighting (or crime-dealing, depending who they are) duties. 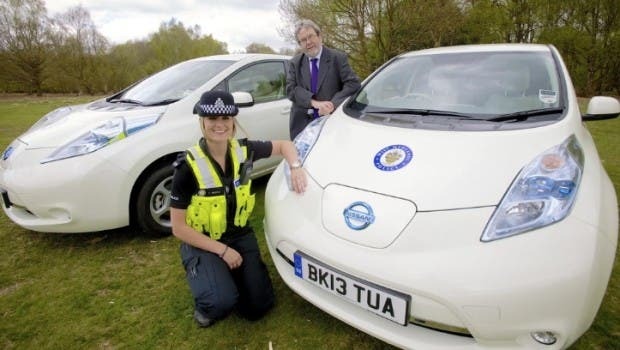 The UK order, for the West Midlands police force, is the largest UK order to date for the Nissan Leaf. 30 cars were delivered to the police force. The vehicles will be used for non-emergency trips. 10 policing units will be using the cars. Notably, the UK just recently started manufacturing Nissan Leafs, resulting in a considerable price cut. There’s no indication if that was part of the rationale for the purchase or not. Of course, this follows the news that New York City is now engaging in a Nissan Leaf taxi pilot program. Nissan must be happy about the growing interest in using Leafs in fleets and such. It was also recently announced that city of Hong Kong was making the city’s largest single-fleet purchase of Zero S electric motorcycles, ordering 59 of the bad boys. Most of them will be used by the police force. Though, some of them will actually be used by the Hong Kong Agricultural, Fisheries and Conservation Department.